St. Michael's Orthodox Church welcomes you! We are an historic parish in the heart of Scranton, Pennsylvania. We hope that you will come to visit us and share the ancient worship of the Orthodox Church. You are welcome to attend the Divine Liturgy of John Chrysostom which we celebrate Sundays at 9:00 AM. 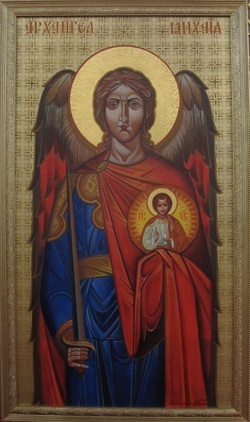 Saint Michael the Archangel, defend us in this day of battle.